The first step in starting your new business is setting up the proper legal foundation. We help you form new business entities and advise you how to best protect your assets. 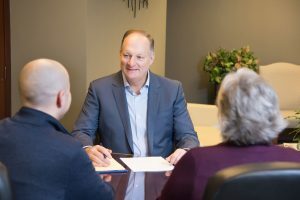 We work closely with you to create an overall business framework, determining how to manage your responsibilities to partners, shareholders, and employees. We help you define the rights and responsibilities of your business partners and create formulas for dispute resolution. We advise clients on forming all types of business entities, including Sole Proprietorships, General Partnerships (GP), limited Partnerships (LP), Limited Liability Partnerships (LLP), Limited Liability Companies (LLC), S-Corporations, and C-Corporations. Schedule your initial appointment by calling (360) 699-1201.